I offer individual consultation services for every client, providing expert support with the preparation for your event, to ensure that it runs smoothly. What kind of interpreting is best suited for your event? How many interpreters do you need? Where can you get the necessary technical equipment from? If required, I can assemble a team of qualified conference interpreters for you (assignments of more than 90 minutes duration usually require two interpreters). 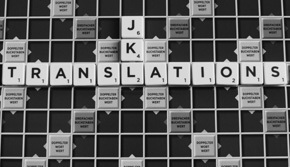 Every interpreting assignment requires thorough preparation, both linguistic and technical. Material such as speech manuscripts, glossaries and other documents must be made available to the interpreter for preparation, in due time, in order to ensure optimal interpretation.